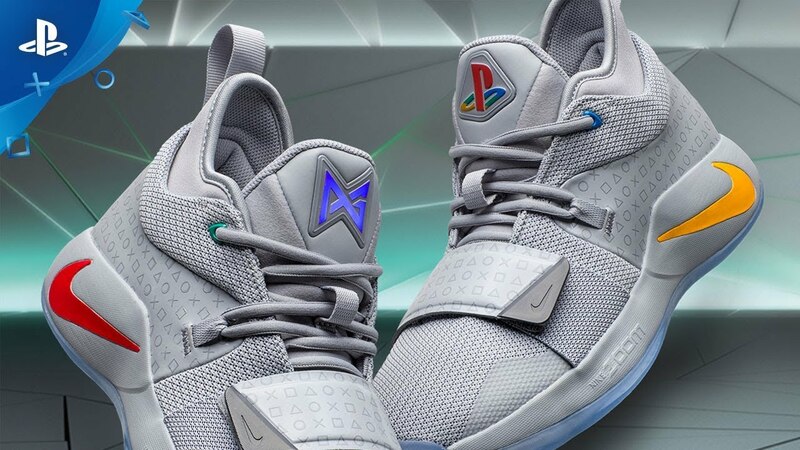 PlayStation and PG are back again with a new collaboration. 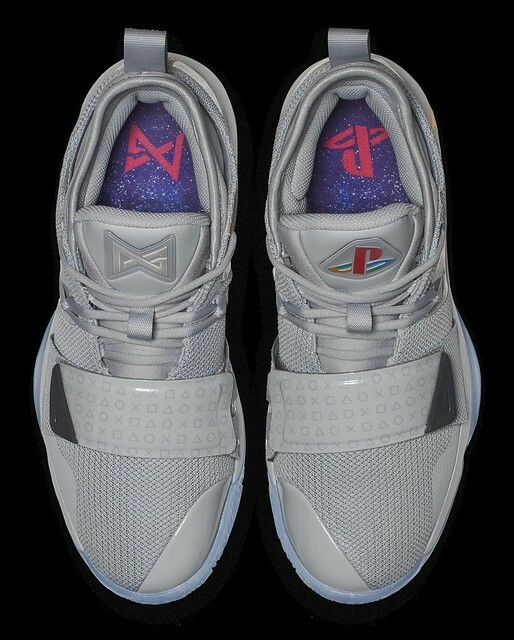 I was blown away by the response to the release of the PG2 x PlayStation back in February. As a huge fan of PlayStation, I was honored to get the chance to collaborate on something that so many of you loved. 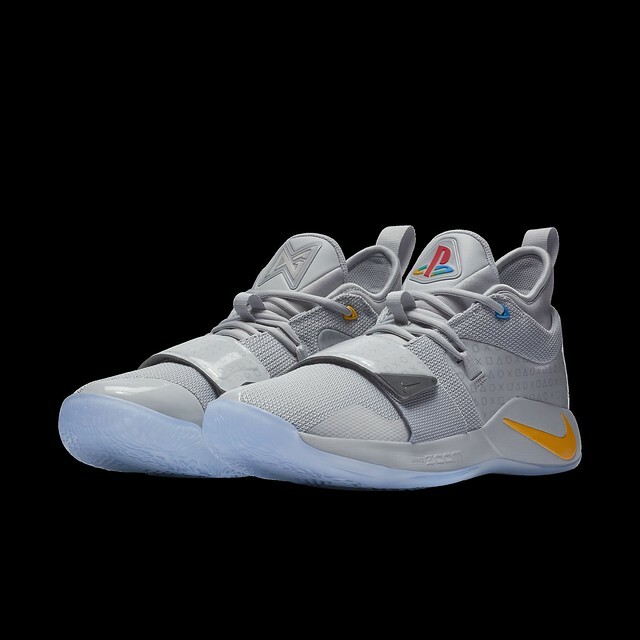 Because of that, I’m happy to announce that PlayStation, Nike Basketball, and I have returned with a new collaboration, the PG 2.5 x PlayStation colorway. This collaboration is very special and personal to me. I’ve been a PlayStation fan ever since I was kid, so I’m excited about continuing to partner with a brand that I grew up loving. 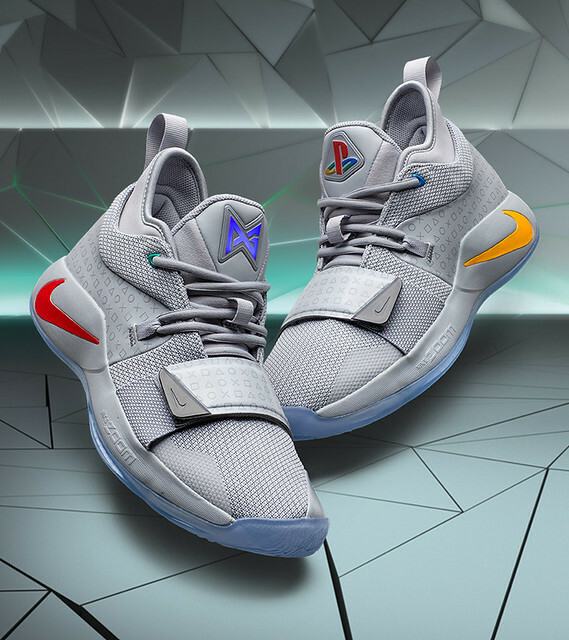 The PG 2.5 x PlayStation colorway drops globally on December 1, 2018. For more information on the release, make sure you download the Nike SNKRS app. From one of my fave players on my fave team, wish I could afford these. Here’s hoping it can also restore it! 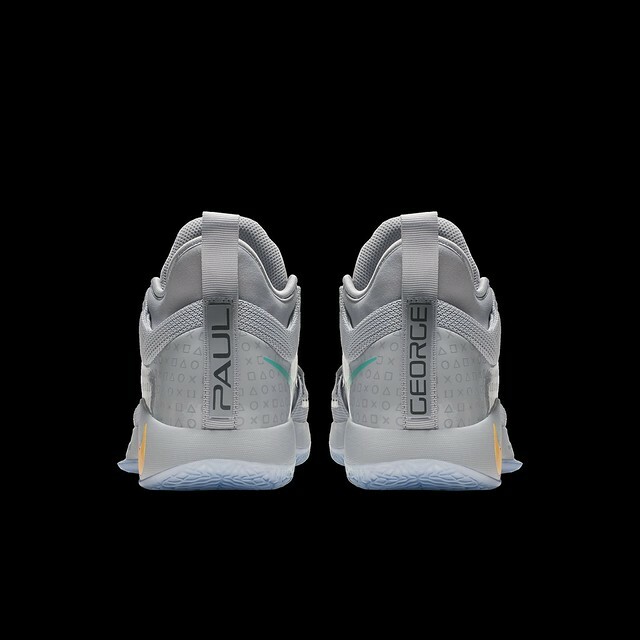 A basket player posting on the Blog,that’s new lol…I think,don’t remember seeing this for the previous shoe.Anyway damn awesome shoe. On more important matters now,Sony I know you’re reading so how about you get off of your lame a**es and update the Plus games on the PS3 Store?…just how unprofessional can you guys be?…greed is truly corrupting your brains,it’s nearly december.What if someone only has access through the PS3 to get the games?…OCTOBER GAMES ARE STILL THERE!!! Online for the PS3 is ending soon, The store wont be far behind. Might as well make the leap and what better way then the Spiderman bundle for the insane price of $199 we have 4 consoles already and I couldnt resist picking two of these up for the price…! You do know they’ve been sending stuff out about shutting down the plus store? They’ve also been shutting stuff down on vita, it’s what you get with older models, you can’t play online with Wii anymore so don’t expect the same with the ps3 for much longer. PS+ games are updated the first Tuesday of the month. 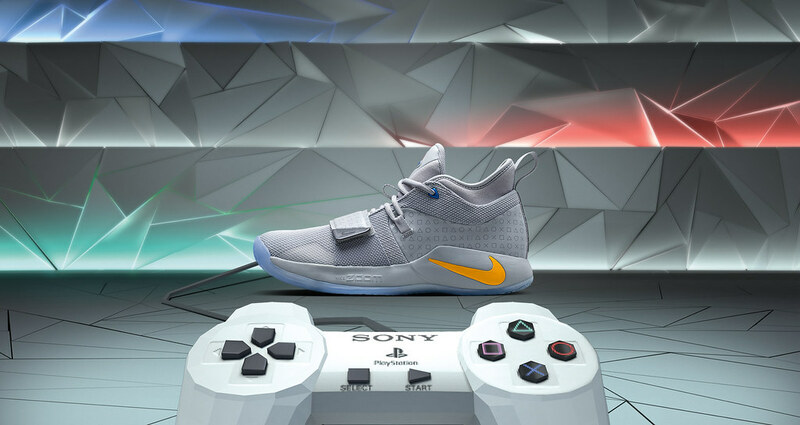 Sony if have any say at all in this please INCREASE THE DROP Stock of these beautiful sneakers. It was all but impossible to get one of the original colorway and as one the million PS fanatics who rock Playstation gear almost exclusively I was devastated. Great looking shoe but ehn so was the last one. 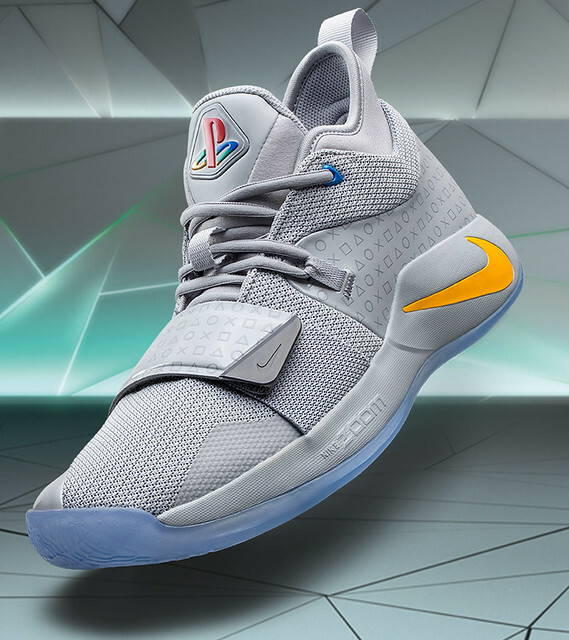 Prices wasn’t the issue it was that the shoe and no doubt this one as well will be a limited run and not available to the people that really want it because there playstation fans. The last one was a lottery system on Nikes sneakers app and a few select stores that got a few pars. In short there really cool but unless you want to pay almost $1K on ebay dont get excited about snagging a par. This is probably one of the wackest promotions ever. Not because the sneakers are ugly but because of how limited the production run is and how HORRIBLY they are released. It was the same situation with the previous pair. WHACK!!! 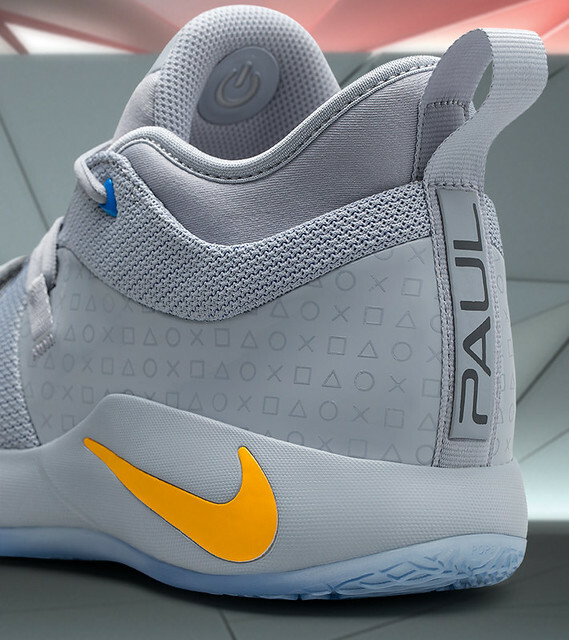 No disrespect to Paul George but I wish there were PlayStation shoes that aren’t based off a specific player. So, you’re spending all this time talking about shoes, but you’re not going to mention anything about what’s coming up with “the drop”? I’m so disapointed that you can’t keep us in a regular schedule with that blog at all. Which is why most of my money now goes to Xbox. At least THEY keep me informed and up to date on upcoming games, add&ons, and movies for the next week, on the Fridays before. And they’re ALWAYS on schedule, down to the hour. No one can rely on R.C. and when The Drop will ever be out. And sometimes it doesn’t. Way to go on keeping us in the dark. That’s kinda dumb. I’m in Australia man, we exist. Ok disregard. Shoes are now sold out. I managed to sign up for a US mobile number to verify my registration ;P too late! I was able to cop two pairs of size 8. If anyone wants one, hit me up. Didn’t get lucky on the first one but got lucky twice on this one.